If you think the Centre Pompidou looks cool from the outside, wait until you enter. The building is a Parisian architectural icon, a modern structure turned “inside-out,” and a clear departure from the classic Haussmannian buildings that dominate the city’s aesthetic. Like most modern and contemporary art museums, it was designed to stand out. 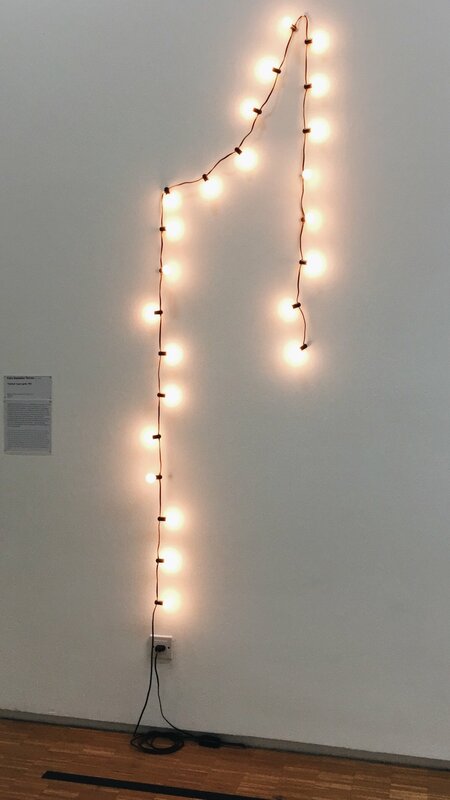 The art featured in the museum is no different. The Centre is dedicated to modern and contemporary art, and basically starts where the Musée d’Orsay left off. To arrive at the art, you must first ascend many sets of escalators. 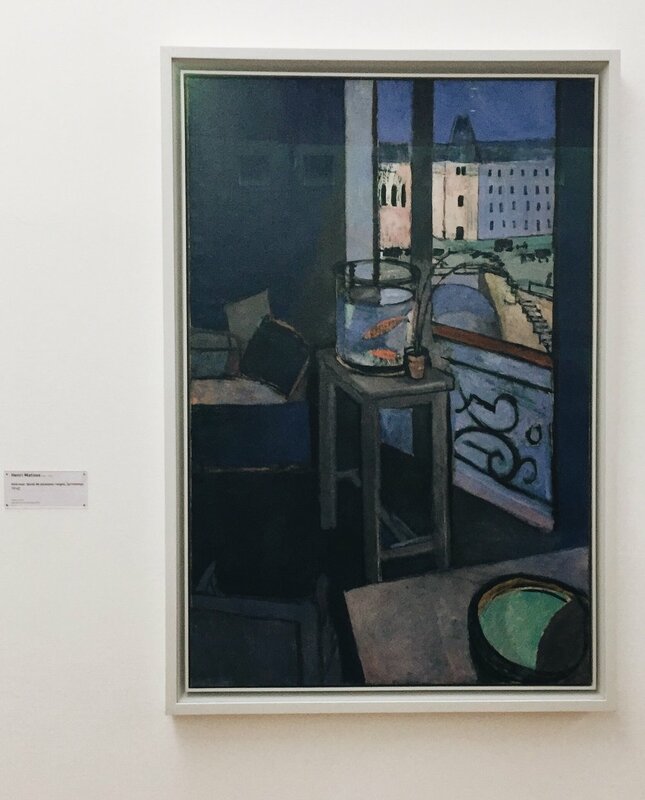 The best way to start at “Le Musée” is with the modern art collection, on the fifth floor, then work your way down to the contemporary exhibitions on the fourth. Definitely grab a map before you enter each floor, as the setup can be initially confusing. The galleries go in number order. The first galleries start with French artists like Matisse and Derain, marking the progression towards modern art. And while the numbers of the galleries are in a general art historical chronology, there are also adjacently-attached galleries in certain halls dedicated to the history of different Parisian museums. So essentially, those rooms are not really apart of the Centre Pompidou’s collection, and can make navigating the intended path confusing. I’d recommend going through the modern galleries first without wandering into the “history of” sections, and checking them out—should you desire—after a proper walk-through of the modern collection. Directly underneath the modern collection, is the contemporary collection. It houses all the art from 1965 to present-day. It is organized similarly to the modern collection, but without the “history of” galleries. And because contemporary art varies so greatly in medium, each gallery had distinct sizes, arrangements, and even lighting, which made the the tour of the collection very stimulating. The museum’s wall texts did a nice job of giving overview to some seemingly vague pieces. The conceptual art was among my favorite aspects of the museum. I always love getting to see Felix Gonzalez-Torres’s work in person. I also learned about actionism—an art movement originating in Vienna—consisting of severe, avant-garde depictions of the body. The visceral intensity was unexpected, and I felt an emotional punch I was not anticipating. 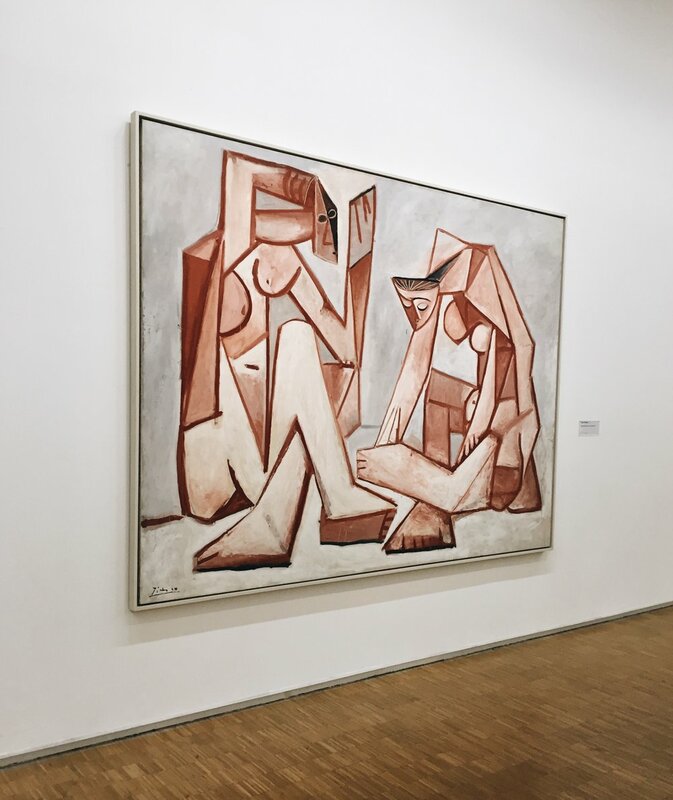 Le Centre Pompidou’s special, buzzed-about exhibition at the moment is its cubism exposition. This was my last stop on my visit. I walked in expecting it to be a “Picasso and Friends” type of display, but I was pleasantly surprised how diverse and wide-ranging the art was. 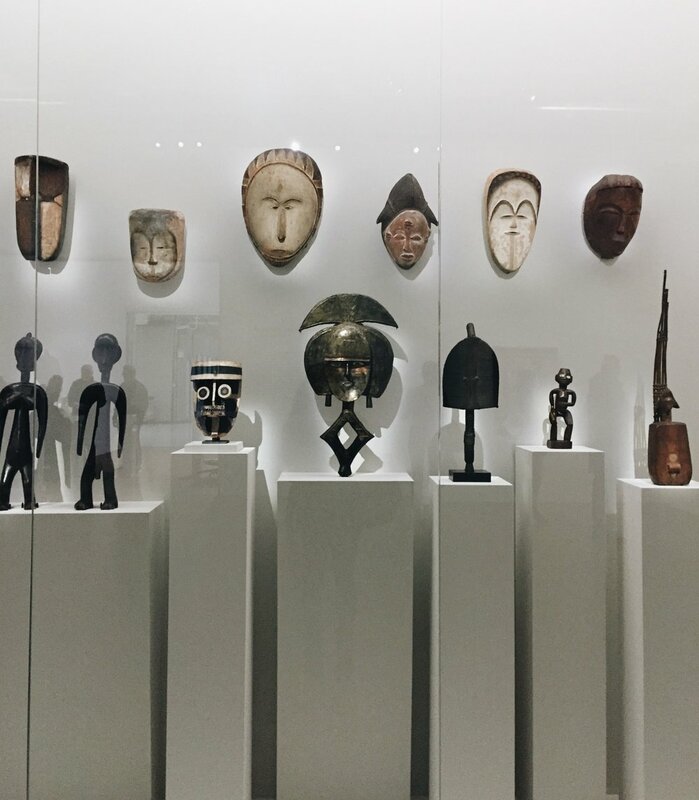 The exhibition began with primitivism and its influences, featuring a grand display of West African masks and sculptures. It was nice to actually see these pieces in a way that honored them as viable works of art, rather than folk accessories used for Europeans’ inspiration. Artists featured in the exhibition (beyond Pablo Picasso and Georges Braque) included Paul Cézanne, Fernand Léger, Juan Gris, Constantin Brancusi, and even Marcel Duchamp. The exhibition explained how certain artists and movements influenced/inspired major cubists’ work as well as the lasting effects of the movement, even claiming cubism as a predecessor to Dadaism. The exhibition will be on view until February 25, 2019. See more museum reviews here.